The ability to jump high is a critical skill not only in basketball and volleyball but also sports like the various codes of football such as rugby, Australian football, and soccer—and no doubt many others. Even diving comes to mind with that push off the diving board, and then there's leaping up the wall to catch that ball that's about to go over the fence. What Makes a Good Vertical Jumper? The mechanics of jumping is well known. You need a good "spring," which means powerful muscles with explosive type muscle fibers and the ability to shorten and stretch them dynamically. Upper body strength is also important for creating that upward momentum. Unfortunately, if you don't have the fast-twitch type of muscles (sprinter type muscles), which are mostly genetically endowed, you will not be a champion jumper. But that's not to say you won't be able to maximize your jump height with training. To maximize your jump you need strength and power, and along with strength, you will probably need to optimize the muscle you carry. However, you should note that for whatever sport you play, there just might be a trade-off in vertical jump performance against mobility, speed, and agility. Large muscles and great strength don't necessarily make a great jumper or a great athlete. And there is no advantage to jumping like a Deanna Nolan or a James LeBron and having poor court skills. This article can only contain guidelines on some of the best exercises to improve vertical jump; it is not a program designed for individual needs or sports. For that, guidance from a team coach and trainer should be sought. The end-point of training for vertical jump proficiency and most other athletic performance standards is the execution of power. Power is a product of strength and speed of execution. Here are the three phases of training leading up to the optimization of power. 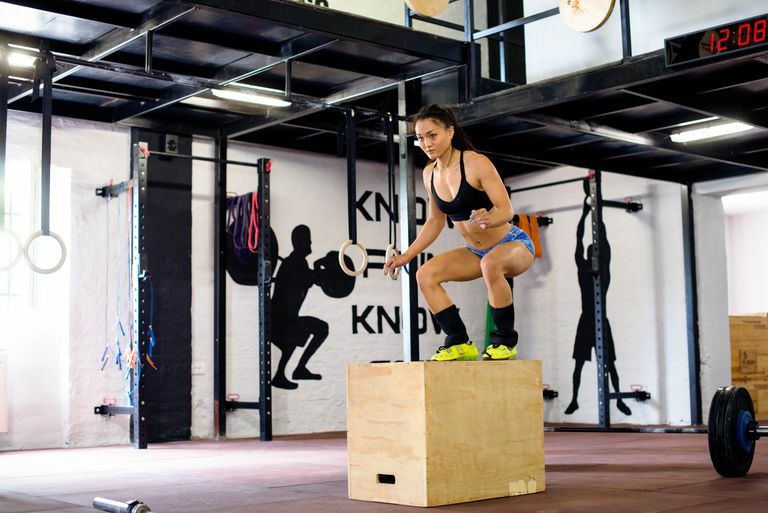 In conjunction with the above, a program of plyometric exercises like tuck jumps, bounds, leaps and box jumps can complement weight training. Some of these you can do in the gym, others require running at a park, court or athletic venue. From the "convert to power" training article linked above, you will see that the exercises featured are, more or less, variations of Olympic lifts in which explosive movement is the important principle. These are the clean, the hang clean, the power clean, the hang power clean, push press, high pull, Romanian deadlift. It's important to keep the weight light enough to enable explosiveness, but heavy enough to stimulate adaptation. In addition to this, you could add jump squats. These are done like normal squats—of any sort—except that on standing, you push off vertically and take a little jump in the air of about 6 to 8 inches. Don't try to go too high, as the impact and landing could cause injury. Dumbbells held at the side or barbell at the hang are excellent for this exercise as they provide good balance. You don't need very heavy weights with jump squats—enough to burden your jumps, but light enough so that you can explode upward. One-legged jump squats are also used, but I think they're a little risky from an injury perspective for general recommendation. Of course, you need to practice, practice, practice actual vertical jumps to a hoop, net or whatever your activity requires, and remember that weight training is a facilitating activity for most sports. Don't overdo it.